Lizzie Fuller bought a lonely, run down old house that pulled on her heartstrings. Why? Probably because it reminded her of herself. What she didn't bargain for was the engagement ring and letters of forbidden love hidden under the attic floorboards. Nor the lazy cat, or the drop-dead gorgeous handyman. And she definitely didn't want the stalker. As the renovation begins and the house starts to slowly return to its former glory, the letters dog her dreams. Why was the writer forced to turn away from his love? Why was their love forbidden? And why was this all hidden under the floorboards? 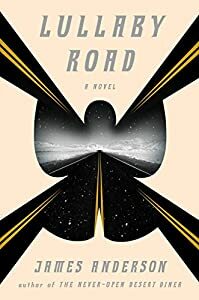 Filled with a drive to reunite the ring with its rightful owner Lizzie sets on a journey of lost love, heartache, and public damnation. But can she restore the house to its former glory, and find who it all once belonged to before her stalker catches up with her? Or will she lose everything...including her life? Author Rainee Allen had success with her first novel, but is now under a deadline to write a second one. 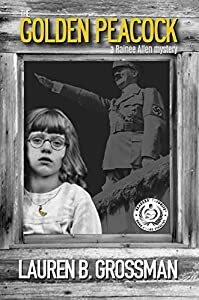 While experiencing writer’s block, she comes across an identification card of a Holocaust survivor with whom she shares a birth date (with a thirty-year difference). Determined to find this woman and tell her story, she travels to London where Jana Lutken lives. To her sad surprise, Jana is living in a nursing home and has Alzheimer’s disease. The sight of a young doctor serves as a trigger, and suddenly Jana is reliving the Holocaust once again. 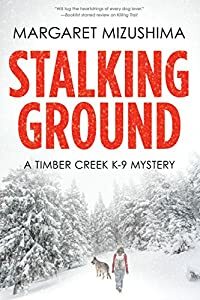 Rainee, determined to find out why this man creates terror in Jana’s eyes, innocently opens a long-kept secret and finds herself entangled in mystery, intrigue and suspense. 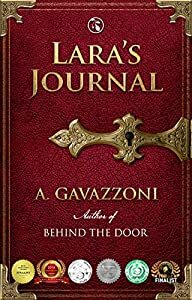 As Simone tries to deal with the contents of Lara's haunting diaries, one of her patients gets himself into a bit of legal trouble, forcing Simone to return early from her vacation. Although she's happy to be back on her home turf, she finds herself surrounded by a whole new set of problems. “City of Grudges captures my hometown of Pensacola, Florida, much the same way Midnight in the Garden of Good and Evil immortalized Savannah.” ―Joe Scarborough, Host of MSNBC’s Morning Joe, former congressman (R-FL) For the past decade Walker Holmes has published the Pensacola Insider, an alt-weekly that struggles to stay solvent while reporting on corruption, racism, and injustice in Pensacola, where progress has been stonewalled for generations. When Holmes publishes an article revealing that Bo Hines, one of Pensacola’s most beloved figures, has been stealing funds from the Arts Council, he may have gone too far. As tensions build, Hines’s wife is found dead, and half the town, including the corrupt sheriff, think Holmes is responsible. Holmes is determined to bring the truth to light, but what he uncovers is more than he bargained for. In order to solve the mystery, he has to unravel the many toxic and enduring grudges poisoning Pensacola―and before it’s too late. 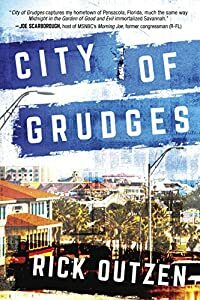 In City of Grudges, publisher and reporter Rick Outzen writes straight from the heart in his stories based on own experience. Who ever thought a coin could get you killed? Richard Harrison, the intelligence officer assigned to protect Gabriela, has all he can do to keep her safe. 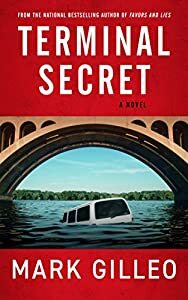 But when the psychological games to terrorize Gabriela escalate beyond his control, Richard must find a solution, if not, it may be too late for them both. 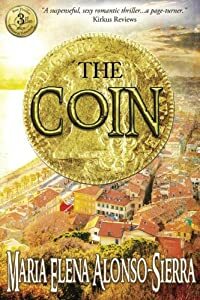 Set in the exotic French Riviera, The Coin is a story of hatred, betrayal, love and duty--of terrible and painful choices that, nonetheless, bring about personal triumph. Meanwhile, Dan Lord – a private investigator with a law degree who operates in the gray area of the legal system – has a new client. Hired by a congressman’s wife who fears for her safety, Dan soon learns she isn't telling him the whole truth. 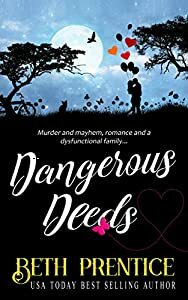 A secret from her past has taken a deadly turn, and Dan’s latest client is proving to be his most dangerous. Phoebe Mercer has what most people envy; a wonderful boyfriend, fantastic friends and a job in the city’s top law firm. Getting engaged is just the honey in her tea! Then she gets run over by a hot dog cart, wakes up with a concussion and the ability to see ghosts. Well, one ghost. A loud, obnoxious woman who claims to have been murdered for her vast fortune. Soon, Phoebe is solving a mystery that not only threatens her relationships, but her career as well. 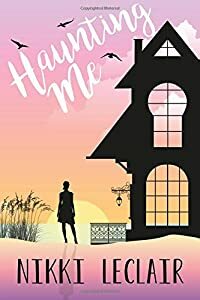 As she begins to battle feelings for the ghost’s handsome nephew, she realizes quite a few people in her life are not as they seem. 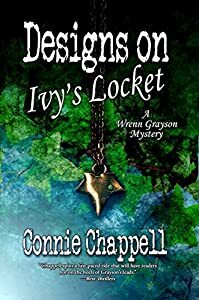 Slowly, Phoebe uncovers the secrets and lies around her, learning that in order to solve this mystery and be free of the ghost, she must lie herself. The only catch? The secrets Phoebe has kept from the people in her life could ruin everything for her, and her ghostly companion, in the end.